Over a month after the iPhone 6 and iPhone 6 Plus went on sale we’re still waiting for some pretty big apps to receive updates that enable them to take advantage of the new, larger screens Apple’s new hardware offers. Those that haven’t yet received updates continue to work for the most part, but they don’t look their best and certainly don’t show extra content as you would expect from new, larger devices. One of the apps that has been noticeably absent from the Updates tab of the App Store is Dropbox, which considering the app plays host to many of our most important documents not to mention photos and videos is disappointing to say the least. Thankfully that wrong has now been righted after Dropbox pushed an updated version of its iOS app out to the App Store. 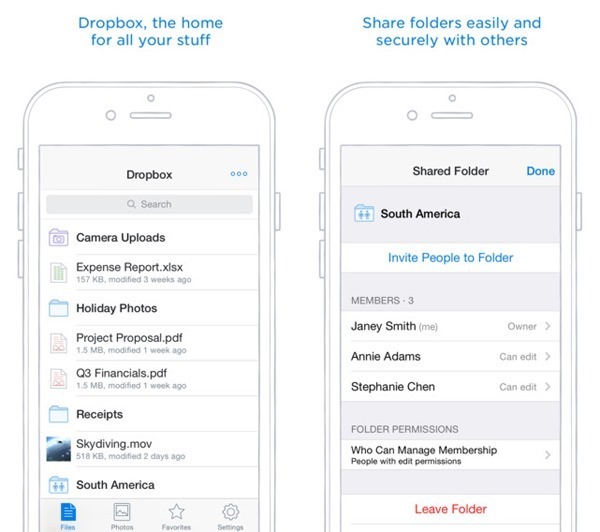 The update, which brings Dropbox for iOS up to version number 2.5, brings with it a host of features and updates. 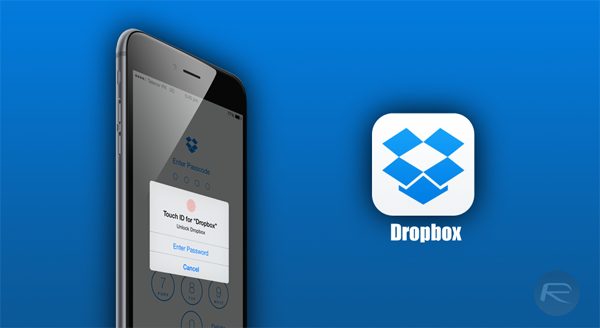 As well as updating the app to play more nicely with the larger screened iPhones, Dropbox for iOS 3.5 also allows users to take advantage of Touch ID by letting them restrict access to the app based on a user’s fingerprint. The added security will be welcomed by most, and is only made possible by new Touch ID capabilities afforded by iOS 8. Other general stability and performance improvements have been added to the updated version of Dropbox, which will make plenty of people happy, we’re sure. Dropbox users can download the newly updated app from the App Store now, and given the other fixes afforded by the update we recommend doing that as soon as possible, even if you’re not using one of Apple’s latest devices. And oh, the app and service is absolutely free to download and try, and if you’re looking for some cloud storage service to get started with, then we highly recommend that you give Dropbox a shot. But keep in mind, if you need more storage, then you have to pony up some cash.